Teressa is a Registered Nurse with her Bachelor of Science in Nursing degree from Simmons College. 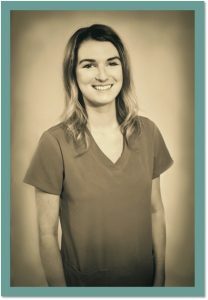 Prior to joining London Medical Group, Teressa worked as an RN in an outpatient pulmonary office and an outpatient family practice in her hometown of York, Maine. Currently, she is pursuing her Master of Science in Nursing with the goal of eventually providing primary care as a Family Nurse Practitioner.